Aquarium Forum > Other Topics > Tiki Hut > faces to go with names! faces to go with names! Re: faces to go with names! 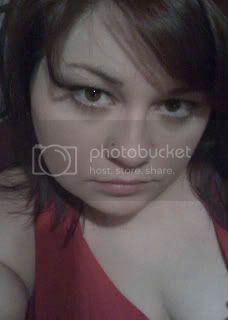 hey ChellaBella I think its dangerous to show pictures of yourself online. stalkers might be able to find you out. I seldom worry too much about stalkers. This is me last summer at my youngest daughter's college graduation. That's my wife and I about 2 years ago. Go ahead everybody, don't be shy! btw - thread is now stuck, thanks ChellaBella for starting it! hahah media hound... thats an awesome picture!! you guys looks so happy!!! hey orion.. awesome profile.. mind if i add you? I propose a DIY thread about that bad-boy, lol. Great pic Jim, thanks for sharing. hhhhmmmmmmmmmmmmmm.............well it seems everyone is not scared of stalkers...from what i can see i would never get attacked by stalkers...i live with 4 other people. maybe i should a pic of myself to go with the flow. I'll post. Any stalkers please e-mail me first!